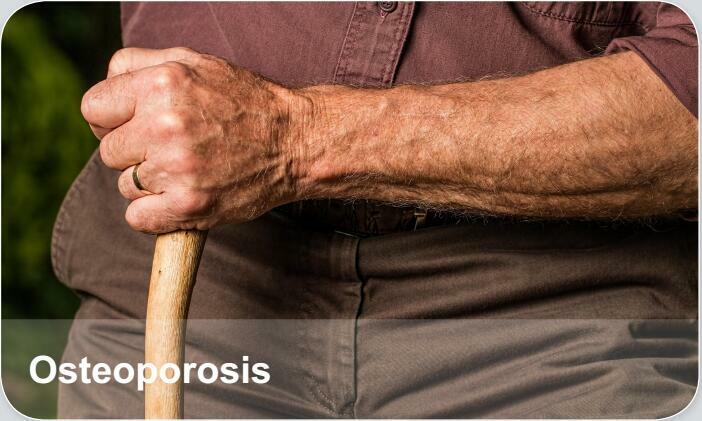 Osteoporosis is a disease where decreased bone strength increases the risk of a broken bone. It is the most common reason for a broken bone among the elderly. Bones that commonly break include the back bones, the bones of the forearm, and the hip.